Running in the Bay Area. Best routes and places to run in the Bay Area. The Bay Area is one of the largest population centers in the United States, with nearly 10 million people spanning San Francisco, Silicon Valley, San Jose, and the East Bay (Oakland-Berkeley). Tens of millions travel to this area each year for business or pleasure. 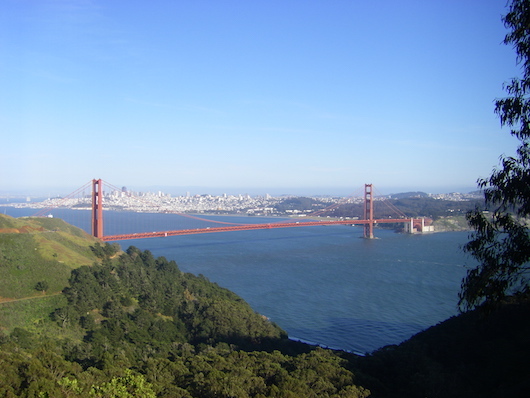 It is also a fantastic area for running, with a unique geography incorporating ocean, beaches, mountains, redwood forests, farmland, and massive parks and recreation areas in close proximity. We have developed this overview of running in the Bay Area, which aggregates the separate guides we have done for each of the major areas. The accompanying map has all of our nearly 100 curated routes in the Bay Area. If running on the beach or near the ocean is your thing, see our California Coast guide, which has 50+ routes on the Pacific, from north of San Francisco to San Diego!